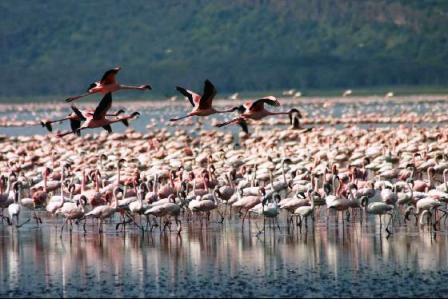 Nakuru is one of the lovliest parks in Kenya and has a good concentration of game. When I was last there six months ago I saw eleven lions! There is also a good chance of seeing leopard. In this wet weather, it is a safe destination. The Nairobi – Nakuru road is tarmarc and the park main roads are in good condition. We have a good deal for Sarova Lion hill Lodge. Cost: Ksh 11,750 p.p sharing. Single room supplement is Ksk 2,875 per day. Not Included: Transport and Park entry. Entry is Ksh 1,000 per day for citizens and residents. Please book and pay by 11 May.